Burp cloths are not just an accessory but a necessity! 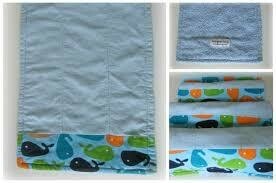 Bourgeois Baby Burp Cloths are made of 100% cotton fabrics that are absorbent, durable, and super cuddly soft! The front of each burp cloth is made of a brushed flannel that wicks away moisture quickly. The terry cloth backing is very soft and doubles as an extra surface for wiping messy faces. 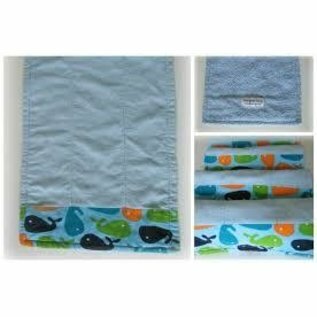 The Bourgeois Baby burp cloths are thicker than traditional bird’s eye fabric burp cloths, making them the best burp cloths for big spitters and babies with reflux. The burp cloths measure approximately 18 inches long and 9 inches wide. Crafted in Nashua, NH. Designs will vary, please call the store for details about what designs are available.